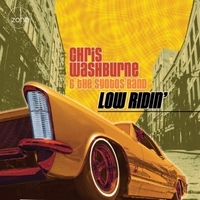 This debut CD of Chris Washburne & The SYOTOS Band for ZOHO showcases Latin Jazz instrumental versions of 1960s and 70s Classic Rock songs - called Acid Mambo by its musicians. Afro-Latin jazz on a psychedelic trip! Low Ridin', the sixth release by The SYOTOS Band, and our debut recording for ZOHO, comes as we celebrate our 23rd year together! After all these years of late night grooving, it was time to get back to our musical roots. Growing up in rural Ohio not far from the Rock and Roll Hall of Fame, the selections on this recording comprise the music of my folk and the soundtrack of my youth. Acid Mambo is what we call this new direction! Afro-Latin jazz on a psychedelic trip! Zeppelin, the Doors, Neil Young, Hendrix, and Lou Reed meet Tito Puente, Machito, and Eddie Palmieri! Embracing the fire, erudition, and activism of SYOTOS’s well-seasoned band sound, honed over 20 years with the longest running weekly Latin jazz gig in New York City, “Low Ridin’” covers new territory musically and sonically, pushing at the boundaries of the Afro-Latin jazz genre, so much so that we needed to call this music something new. Historically, jazz has turned to the popular music of the day for its repertoire, but the rock music of the late 1960s and 1970s has been mostly overlooked. This is remarkable considering how finely constructed and beautifully poetic the songs from this era are, undoubtedly on par with the music of the great American Song book a lá Gershwin, Porter, and Berlin. Jazz musicians rarely include these rock gems in their standard repertoire, and so “…it seems like we have got to have a change of scene.” Feelin' Alright, popularized in 1970 by the late great soulful singer Joe Cocker, opens the recording with a raucous brass riff that stays true to the original groove. It is then superimposed onto a mambo beat, and we even include a nod to the Stephen Stills mantra…“stop children what’s that sound…?” It’s Acid Mambo! We then take a little trip with War’s 1975 funky cha cha classic Low Rider, inspired by West Coast urban Latino cultural practice of hydraulically “hot-rodding” classic cars, transforming the vehicles into spectacles of burnished chrome and resplendent steel, signifying a lifestyle that embraces cultural pride and freedom of self-expression. Right On! Now with fists in the air we gear into the greatest social activist theme of all time, when in 1973 Bob Marley professed "you can fool some people sometimes, but you can't fool all the people all the time" in his anthemic Get Up, Stand Up. Here we feature an alchemic mix of reggae and Cuban son, spiced with a righteous attitude. In the lyrics, Marley conceives of heaven not in the afterlife, but right here and now on earth - something to seek out and fight for. Our bolero-cha version of Stairway to Heaven offers two different perspectives of the afterlife than Marley’s, mashing up contrasting perspectives of the promised land: Led Zeppelin’s 1971 epic narrative song and Duke Ellington’s 1968 sacred music hymn Heaven. Here Duke’s dream is superimposed upon Jimmy Page's and Robert Plant’s ponderings of a protagonist who believes all that glitters is gold and heaven is a pecuniary entity. Our arrangement of Jimi Hendrix’s 1967 Manic Depression features a funky odd-metered cha cha that morphs into a manic collective improvisation in an uptempo Afro 6/8. We relish Hendrix’s musical elixir to the chaos of the world… “music, sweet music.” Neil Young’s 1971 Ohio, written in reaction to the Kent State shootings, resonated profoundly in the neighborhood of my youth. It was a deeply troubled time in my home state and in the nation, and Young poetically captured the moment, a moment that still resonates today. Here Young’s original guitar licks are orchestrated for SYOTOS’ intrepidly brash horn section. The Doors' 1967 Break on Through To the Other Side, or “BOTTOS”, was inspired by Aldous Huxley’s classic book from 1954, The Doors of Perception. It was one of the first psychedelic rock tunes to fully embrace the bossa nova craze of the 1960s. Our bossa nova/son montuno rhythmic overlay serves as an apt secondary theme for a band that is all about the “other side.” As Huxley, William Blake, and Jim Morrison encourage – the re-conception, re-thinking, and re-imagining of the world is a necessity for self-fulfillment and we believe groovy bi-hemispheric music is the most appropriate means for that task. Neil Young’s 1977 “Sugar Mountain” is a nostalgic lament for lost youth, culminating in his laconic dictum “ain’t it funny how you feel when you’re findin’ out it’s real.” Our arrangement tries to capture his complex of sentiments through a pastiche of polytonal montunos, evolving polymetric grooves, microtonal gestures, and a broad range of emotional transformations–all played with an exuberantly vernal mindset.